WASHINGTON (AP) ― NASA is plotting a daring robotic mission to Jupiter’s watery moon Europa, a place where astronomers speculate there might be some form of life. 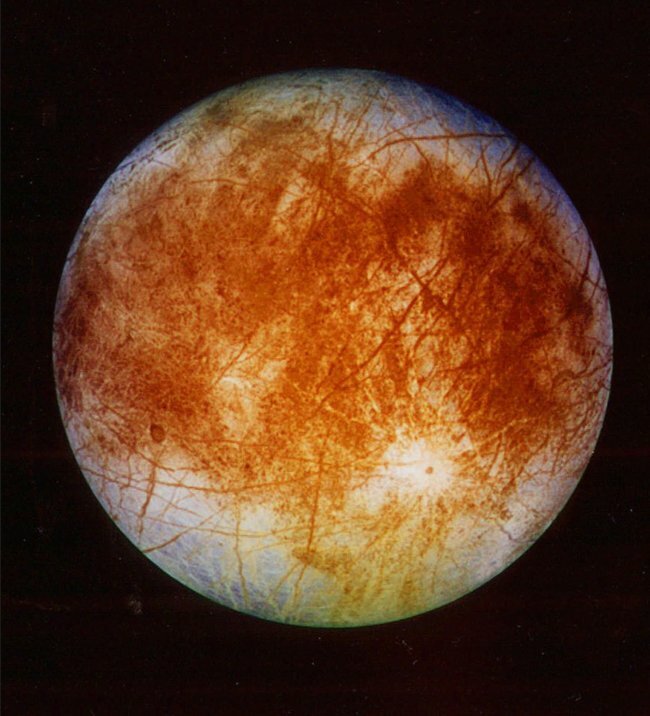 The space agency set aside $15 million in its 2015 budget proposal to start planning some kind of mission to Europa. No details have been decided yet, but NASA chief financial officer Elizabeth Robinson said Tuesday that it would be launched in the mid-2020s. Robinson said the high radiation environment around Jupiter and distance from Earth would be a challenge. When NASA sent Galileo to Jupiter in 1989, it took the spacecraft six years to get to the fifth planet from the sun. Last year, scientists discovered liquid plumes of water shooting up through Europa’s ice. Flying through those watery jets could make Europa cheaper to explore than just circling it or landing on the ice, said NASA Europa scientist Robert Pappalardo.